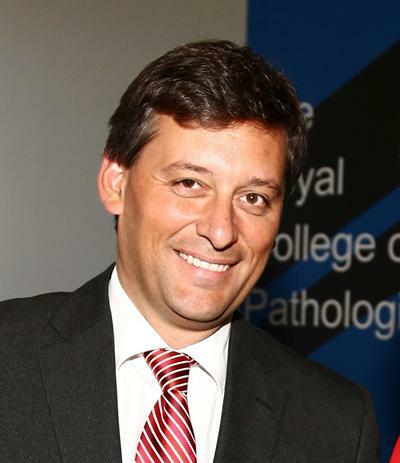 Dr Francesco Forconi is Associate Professor in Haematological Oncology within Medicine at the University of Southampton. Dr Francesco Forconi joined the University of Southampton in 2011 as a Cancer Research UK Senior Lecturer in Haematological Oncology. He graduated in Medicine and completed his specialist training in Haematology at the University of Siena, Italy. After a fellowship at the University of Eastern Piedmont, Italy, he moved to the Tenovus Laboratories at the University of Southampton, where he obtained a DM in Immunology. There he developed his interests in Tumour B-cell Immunology and subsequently completed his PhD. In 2004 he was appointed as Professor Assistant and Consultant in Haematology at the University of Siena Hospital Trust, before moving back to Southampton in 2011. Dr Forconi is leader of the Haematological Oncology Group and his focus is the gain insight into the behaviour of mature B-cell neoplasms by analysis of the characteristics and functions of the tumour B-Cell Receptor (BCR) Immunoglobulin (Ig). Francesco’s most recent interests also include investigating the mechanisms of immune paresis and how to target tumour mediated immune suppression in mature B-cell neoplasms. His major research achievements have been in origin and clinical behaviour of Lymphoproliferative disorders, including Chronic Lymphocytic Leukaemia Hairy Cell leukaemia and other Splenic lymphomas, by immunogenetic and molecular analysis. Clinically his interests are Chronic lymphocytic leukaemias and low-grade lymphomas. He is core member of the NCRI Haematological Oncology Group and affiliated to the NCRI Haem Onc Chronic Lymphocytic Leukemia subgroup. He contributes to a number of NCRI-sponsored and commercial trials in the Lymphoma team and in the Haematology Department at Southampton. The B-Cell Receptor (BCR) is the functional unit and unique to any normal B-cell. Its characteristics and functions are preserved after transformation and provide insight in the origin and clinical behaviour of the transformed B-cell. The overall research goal of the Haematological Oncology group is to investigate origin and mechanisms of disease of B-cell lymphomas by analysis of the tumour BCR Immunoglobulin (Ig) characteristics and function. The group will focus on Chronic lymphocytic leukaemia (CLL). The variable clinical course of the two major CLL subsets expressing unmutated or mutated Ig genes (U-CLL and M-CLL, respectively) and the dramatic sensitivity of CLL to inhibitors of BCR-signalling associated kinases highlight the central role of the tumour BCR. CLL cells express low levels of surface Ig (sIg) as a reflection of anergy. However individual circulating cells overexpressing bcl2 will survive and variably recover function to eventually migrate to tissue either for repetitive rounds of antigen-mediated proliferation, and possible secondary genetic damages determining further variability in outcome in the functionally recovered CLL cells, or for sustainment of the anergic CLL cells. One of our projects is to investigate the functional complexity within individual CLL clones defined by B-cell receptor (BCR) level dynamics. Surface IgM (sIgM) is down-modulated following engagement but recovery of expression occurs in vitro, and likely in vivo during recirculation. We can readily identify circulating intraclonal subgroups with varying B-cell receptor expression and function in CLL (Coelho et al. Blood, 2013). Aims of this project will be to investigate the phenotypic, functional and molecular features associated with survival/proliferation, migration and immune suppression in each individual CLL subgroups and the dynamics of recirculation between tissues and blood. A second project is to investigate and to target therapeutically the mechanisms of immune suppression in CLL. BCR signalling is likely to contribute to the immunosuppression which is the main cause of morbidity and mortality in CLL. Recent clinical data demonstrate that new inhibitors of BCR-associated kinases reverse immunosuppression in the initial phases of treatment. Our recent data have confirmed that BCR stimulation modulates immunoregulatory properties of CLL cells. This programme will therefore address the hypothesis that BCR signalling is a key determinant of immune suppression in CLL and possibly in other B-cell malignancies. Current specific aims are (i) to investigate the immunoregulatory phenotype of CLL cells in the presence/absence of BCR stimulation; (ii) to characterise functional consequences of BCR stimulation on immunoregulatory properties of CLL cells; (iii) to investigate effects of novel drugs targeted towards BCR-associated kinases in vitro and in vivo; (iv) to determine the clinical significance of immunoregulatory properties. Stimuli will include various forms of anti-Ig ±costimulation (including TLR-ligands/CD40L/IL4). Inhibitors evaluated will include ibrutinib, idelalisib and tamatinib. For in vivo analysis, samples are available from patients treated with ibrutinib or idelalisib, as part of on-going clinical trials co-ordinated via the NCRI HaemOnc CLL and Lymphoma study subgroups. A third project will be to seek the cell of origin of CLL by Ig gene analysis. In U-CLL, there is increased usage of IGHV1-69 gene, often combined to form stereotypic characteristics of the HCDR3, to suggest selection of the leukemic clones. We have already analysed IGHV1-69/IGHJ6 and IGHV1-69/J3 combinations in normal blood B cells and found that a high proportion have stereotypic patterns similar to those described in U-CLL. Phenotypically the IGHV1-69+ve IgM+ normal B cells are naïve and enriched in CD5+ cells, suggesting a restricted sequence repertoire of the B-cells that may transform in CLL. Our future aim will be to further characterize phenotypically and functionally the potential normal counterparts of CLL cells prior to the putative transforming lesion. All projects will also be expanded to other tumour entities like Hairy Cell Leukaemia and Splenic Lymphomas and verify potential clinical prognostic significance of the varying BCR features. Coelho V, Krysov S, Steele A, Sanchez Hidalgo M, Johnson PW, Chana PS, Packham G, Stevenson FK, Forconi F. Identification in CLL of circulating intraclonal subgroups with varying B-cell receptor expression and function. BLOOD. 2013, published ahead of print August 16, 2013. Forconi F, Potter KN, Sozzi E, Henderson I, Cencini E, Rossi D, Bomben R, Gattei V, Gaidano G, Packham G, and Stevenson FK. The IGHV1-69/IGHJ3 recombinations of unmutated CLL are distinct from those of normal B cells. BLOOD. 2012 Mar 1;119(9):2106-9. Forconi F, Potter KN, Wheatley I, Darzentas N, Sozzi E, Stamatopoulos K, Mockridge CI, Packham G, Stevenson FK. The normal IGHV1-69-derived B-cell repertoire contains stereotypic patterns characteristic of unmutated CLL. BLOOD. 2010 Jan 7;115(1):71-7. Capitani N, Lucherini OM, Sozzi E, Ferro M, Giommoni N, Finetti F, De Falco G, Cencini E, Raspadori D, Pelicci PG, Lauria F, Forconi F, Baldari CT. Impaired expression of p66Shc, a novel regulator of B-cell survival, in chronic lymphocytic leukemia. BLOOD. 2010 May 6;115(18):3726-36. Forconi F, Sozzi E, Cencini E, Zaja F, Intermesoli T, Stelitano C, Rigacci L, Gherlinzoni F, Cantaffa R, Baraldi A, Gallamini A, Zaccaria A, Pulsoni A, Gobbi M, Tassi M, Raspadori D, Leoncini L, Rinaldi A, Sabattini E, Bertoni F, Pileri SA, Lauria F. Hairy cell leukemias with unmutated IGHV genes define the minor subset refractory to single-agent cladribine and with more aggressive behavior. BLOOD. 2009 Nov 19;114(21):4696-702. Forconi F, Sahota SS, Raspadori D, Ippoliti M, Babbage G, Lauria F, Stevenson FK. Hairy cell leukemia: at the crossroad of somatic mutation and isotype switch. BLOOD. 2004 Nov 15;104(10):3312-7. Epub 2004 Jul 29. Manuscripts reviewer including: Blood, Leukemia, Haematologica, British Journal of Haematology, Leukemia and Lymphoma, Acta Hematologica, Cancer. Grant reviewer for funding bodies including Cancer Research UK, Italian Ministry of University and Research (PRIN-MUR, FIRB projects/programmes). Forconi, F., Raspadori, D., Lenoci, M., & Lauria, F. (2005). Letter. Absence of surface CD27 distinguishes hairy cell leukemia from other leukemic B-cell malignancies. Haematologica, 90(2), 266-268. Fabbri, A., Lenoci, M., Gozzetti, A., Marotta, G., Raspadori, D., Forconi, F., & Lauria, F. (2004). Low-dose oral fludarabine plus cyclophosphamide in elderly patients with chronic lymphoproliferative disorders. The Hematology Journal, 5(6), 472-474. Lauria, F., Lenoci, M., Annino, L., Raspadori, D., Marotta, G., Bocchia, M., ... Foà, R. (2001). Efficacy of anti-CD20 monoclonal antibodies (Mabthera) in patients with progressed hairy cell leukemia. Haematologica, 86(10), 1046-1050. Forconi, F., Bocchia, M., Marconcini, S., Bigazzi, C., Milani, M., Fraternali-Orcioni, G., & Lauria, F. (1999). CD30 positive (non-anaplastic) peripheral T-cell lymphoma of the thyroid gland. Haematologica, 84(10), 946-948. Bocchia, M., Bigazzi, C., Marconcini, S., Forconi, F., Marotta, G., Algeri, R., & Lauria, F. (1999). Favorable impact of low-dose fludarabine plus epirubicin and cyclophosphamide regimen (FLEC) as treatment for low-grade non-Hodgkin's lymphomas. Haematologica, 84(8), 716-720. Marotta, G., Bigazzi, C., Bocchia, M., Forconi, F., & Lauria, F. (1998). Long-term follow-up of non-Hodgkin's lymphoma patients treated with ProMACE-CytaBOM: an effective regimen for the intermediate grade subtype. Haematologica, 83(9), 853-854. Lauria, F., Raspadori, D., Rondelli, D., Ventura, M. A., Fiacchini, M., Visani, G., ... Tura, S. (1997). High bcl-2 expression in acute myeloid leukemia cells correlates with CD34 positivity and complete remission rate. Leukemia, 11(12), 2075-2078. Lauria, F., Rondelli, D., Zinzani, P. L., Bocchia, M., Marotta, G., Salvucci, M., ... Tura, S. (1997). Long-lasting complete remission in patients with hairy cell leukemia treated with 2-CdA: a 5-year survey. Leukemia, 11(5), 629-632.